Citadel + Compagnie’s Tyler Gledhill sat down and chatted with choreographer Allison Cummings about her piece on Kaitlin Standeven, As she shall obtain such command of her mass vein passageways that runs Nov. 21-24, and Nov. 28-Dec. 1 at The Citadel: Ross Centre for Dance (More info and tickets). Where do you look for inspiration for your choreography? What inspires me is usually dependent on the piece, who will be dancing it and how it came to be. But if I look back on my body of work and how it’s developed over the years, I do notice that there tends to be a focus on communication and how our bodies work underneath the veneer of our outer selves. Some sort of conflict and juxtaposition between mind and body seems to appear in my pieces regardless of the initial inspiration. What is the most important thing you want people to know about this work? 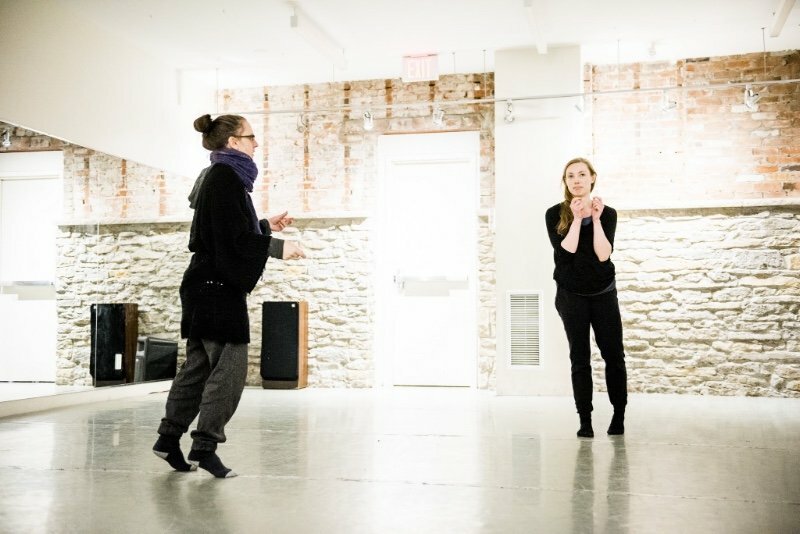 I think because this work is a commission initiated by Kaitlin, the dynamic of choreographer to interpreter shifts. Her rigour, work and voice within the creation is crucial to the outcome and the final staged piece. So the piece doesn’t only come from my choreographic impulses but also from her and how she relates to the content. Also, we have created a whole world and scenario in which the piece takes place in order for her to enter it fully. It’s very apocalyptic. We think it would make a great graphic novel….